In principal, DeltaTM shifts that occur when multiple ligands bind to the same protein should manifest cooperative effects between binding sites. Thermofluor offers a high-througput approach to the study on allosteric protein-ligand interactions. 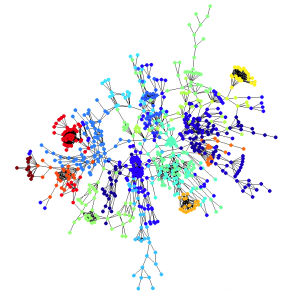 Proteomics studies initiated in the 1990s revealed highly complex patterns of interactions between proteins. In many cases it seems physically impossible that the interactions found could all occur simultaneously. What controls these interaction? 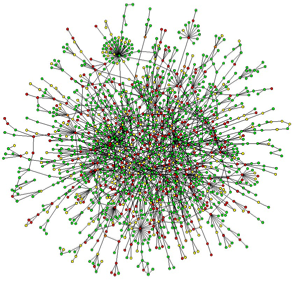 What and how is information transmitted? Thermofluor could make examination of these complex interaction patterns accessible on a large scale. Other examples of systems where high-throughput thermodynamic evaluation of protein-protein interaction include e.g. antibody-antigen interactions, cell surface receptor signal transduction chains, and transcriptional activation networks. 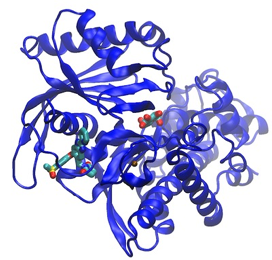 Most protein crystal structures are currently determined using either molecular replacement or SIRAS. SIRAS is an anomalous dispersion phasing method frequently based on the introduction of selenomethionine into the native protein structure. With the nearly universal availability of high-intensity, variable-wavelength synchrotron X-ray sources for protein crystallography, this method has largely displaced the more traditional multiple isomorphous replacement (MIR) or single wavelength SAD (single anomalous dispersion), or MIRAS (multiple isomorphous replacement with anomalous scattering) approaches that were more commonly used when structures were determined using single-wavelength laboratory X-ray sources. Although the MIR method is subject to the potential drawback that "heavy atom" soaked crystals may become non-isomorphous with the native crystal, a more serious drawback of the method is its laborious and unpredictable "trial-and-error" nature. It would be interesting to explore thermofluor (in solution) as a high-throughput method for finding potential protein heavy atom derivatives. These might be particularly effective in situations where selenomethionine protein expression is problematic, or for the determination of high molecular weight protein structures that can take advantage of the large anomolous scattering components (resulting in improved phasing power) of many heavy atoms. The availability of synchrotron sources eliminates the lack-of-isomorphism issue, since the structure can be determined using a single crystal and SAD or SIRAS phasing. Databases such as the Riken Heavy Atom DataBase (HATODAS) can aid in the selection of suitable heavy atom screening libraries. Instrumentation currently being used for thermofluor measurements (i.e. PCR thermocyclers) is sufficient to meet many needs of biophysicists and other scientists. Nevertheless, it is clear that with the advent of new more sensitive cameras , and the availability of high intensity LED UV light sources, instruments with performance characteristics exceeding the 3DP 1536 prototype are technically accessible.